Thanks for the feedback! I'll put that on a list of reminders when describing. Thanks for your comment! Glad we can help fulfill most of the criteria. 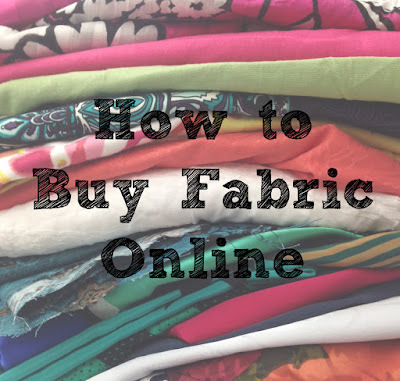 Excellent article, you do a great job of describing fabric, that is why I buy so much from you!! This is a great article! I am sorry I missed the Facebook poll. I didn't know you were draping the fabric over a stool. I thought it was a chair. Has it always been a stool? Is it standard stool height? I'm also glad you describe the opacity b/c I have accidentally bought fabric that was semi-sheer when I didn't want it to be. When you talk about stretch, you sometimes say selvage to selvage. I know that's important, especially with patterns. But, what does that mean, exactly? For example, pretend I am holding up 2 yards of fabric (pretend my arms are really long!) that is 40 inches wide. That means the selvage is pointing to the ceiling and the floor, yes? If it stretches selvage to selvage, does that means if I pull on it length-wise (as I'm holding it), it is stretchy? Or does that mean if I hold one selvage edge in one hand, and one in the other, it stretches width-wise? We've used a stool for a long time, we might have used something different in the past, but have been consistently using a standard height stool. When we say selvedge to selvedge that means that if you hold the fabric at the selvedges or in the direction of the selvedges, it stretches. (or like you said stretches width wise) If we say "with the selvedge", that means the selvedge stretches (typical with 4-way stretch fabrics, but sometimes we find fabrics that only stretch with the selvedge. We don't come across too many fabrics (wovens) that stretch with the selvedge.) I hope that helps! 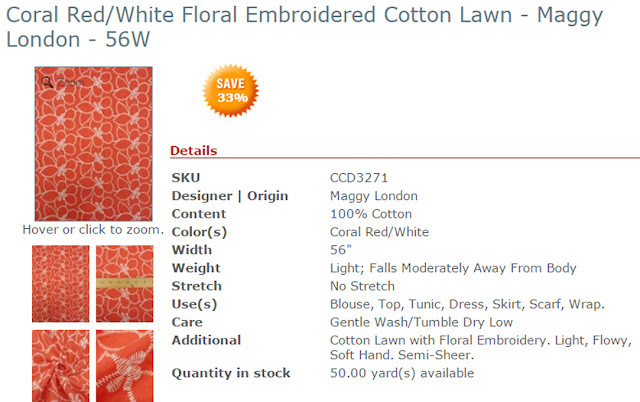 You do it best of all online fabric retailers. Hands-down. Yep. Still think that you all are, hands down, the best at giving a snapshot of the fabric. This was really helpful even for me, a devoted FM junkie. Hopefully others find it useful too! I'm a fairly new customer and both my orders were exactly as described. I've been slow to order online but love you're descriptions. One thing I would like to see is the country of origin, something tat one can see on bolt ends in a store. I like the way I can hover over a 'swatch' on the website & it enlarges automatically rather than having to click to zoom. 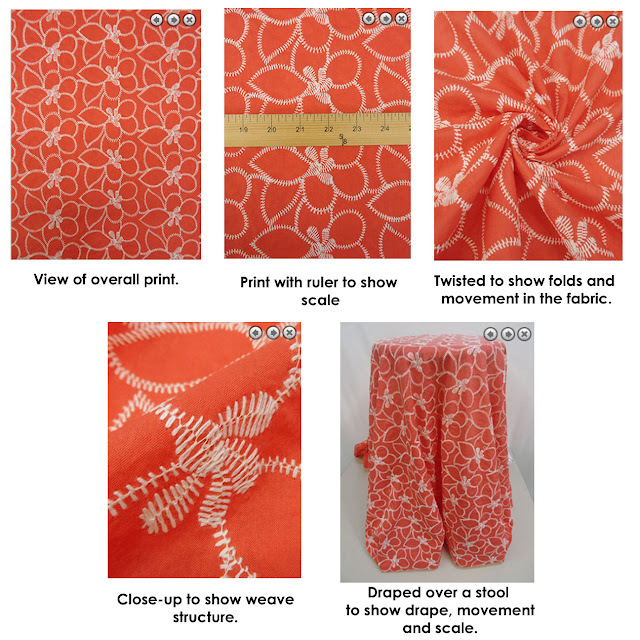 I would like to see the fabric draped on a mannequin which, for example, let's me see how the scale of a print will look on the body. Thanks for your feedback, I'll pass it on to the describers. Thank you for this post. I do admit to being nervous about buying fabric online. So these points are helpful to me. I also like how your company tells what you can sew with the fabric. I need that kind of advice. Thank you again! Thanks for this! Probably the only thing I wish you had (that some of your competition does, but I've stopped shopping them because your service is SO much better, faster and more reliable!) is to be a little more descriptive in the stretch department. It's important to me to know if something has less than 10% stretch vs 50% stretch etc, and it can make or break a project. A photo of the backside of the fabric (especially prints) would be much appreciated too. When I'm making a garment, sometimes the wrong side of the fabric will show because of a twist or something, and it's boring to work with nothing but solids all the time... but sometimes the wrong side of a print is really disappointing. And about the only other thing that keeps me from shopping more frequently is your shipping. Your competition offers free shipping on orders of $35 or more, or $50 or more, and while I'm not for a moment suggesting you should emulate their service, it would make for a really sweet deal if one of the benefits to being a VIP member was free shipping occasionally. Like one out of every four orders has a free shipping coupon code in it or something. Or if your order totals over X amount, you get free shipping on your NEXT order. Something like that. Because I love your prices, and I love your sales, but that $8.75 needs a fair bit of major discounts in my cart to feel like I'm spending it wisely. Thanks for the opportunity to give you feedback! Thanks for your feedback, I'll pass it on to the appropriate people.